While my kids were having the usual KFC chicken and rice meal set, I tried something new in their menu which has been catching my eyes every time we dine at KFC restaurant. 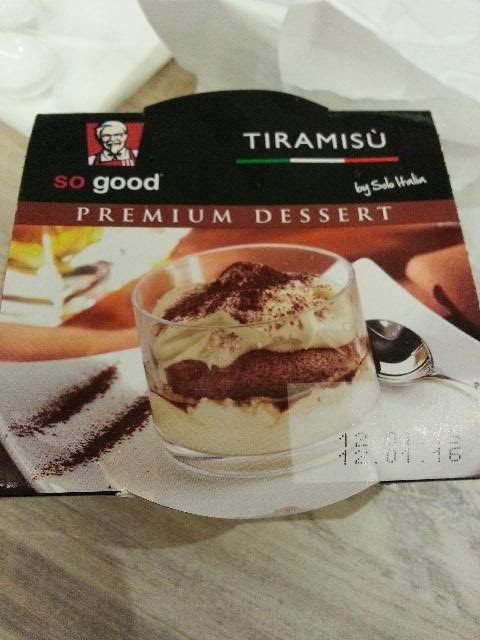 I have been wanting to try the KFC Tiramisu premium dessert since it was introduced in their menu. The outer box packaging looks like this. 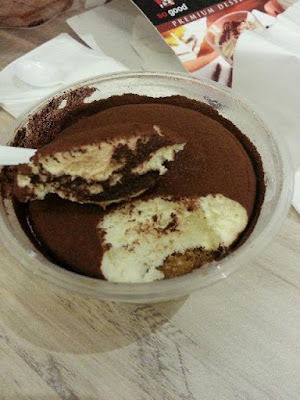 can't expect the texture to be as moist and as fresh as those home made and bakery sold Tiramisu, at least the taste did not let me down. A cup of hot coffee would be well complemented with it. If your feel like having a Tiramisu cake on the go, this could be the choice. 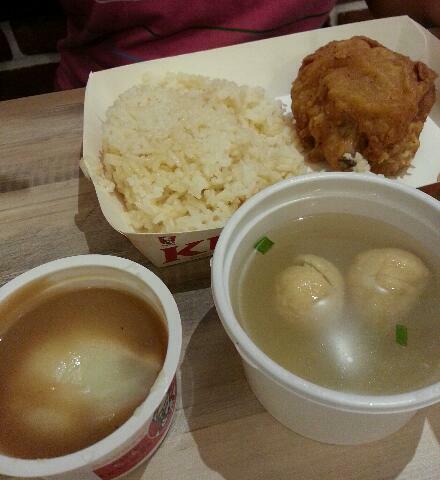 Long time did not dine in KFC as no one in my family like the food. I tasted the fried chicken rice before. Hmm. 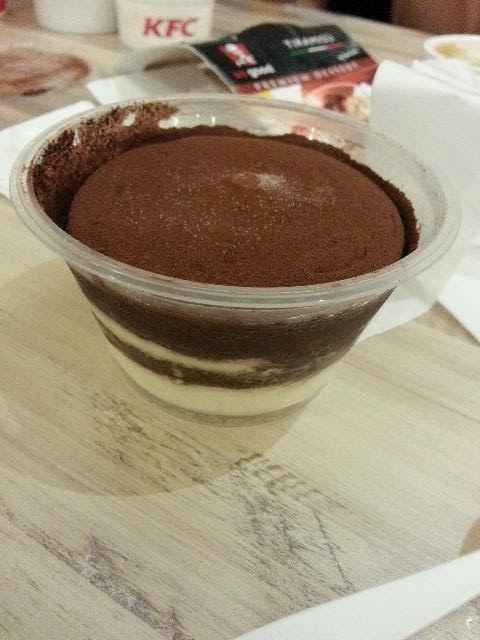 The tiramisu did look hard. Hmm... maybe I could give this a go. 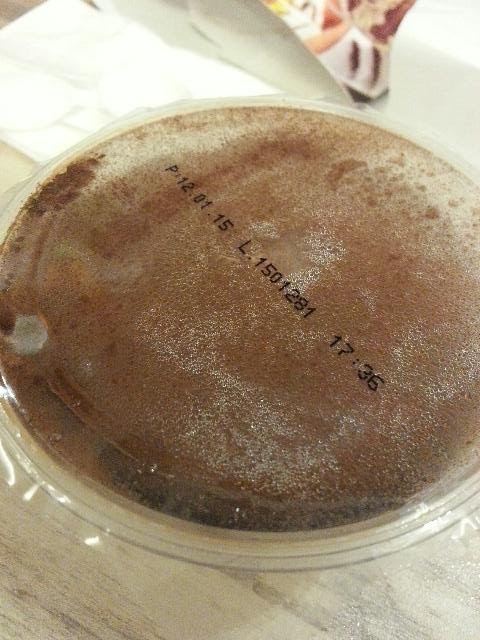 I saw their premium dessert items on offer, but was never tempted to try. 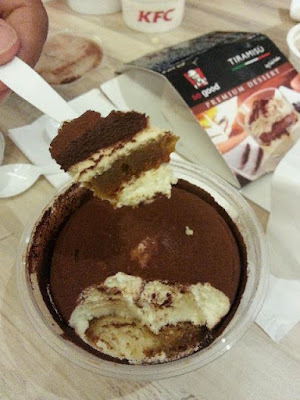 I mean, fast food tiramisu? That doesn't sound too enticing. That shows how long I have not been to KFC. Maybe one of these days I might pop in to buy some KFC before I forget how KFC tastes like..lol! 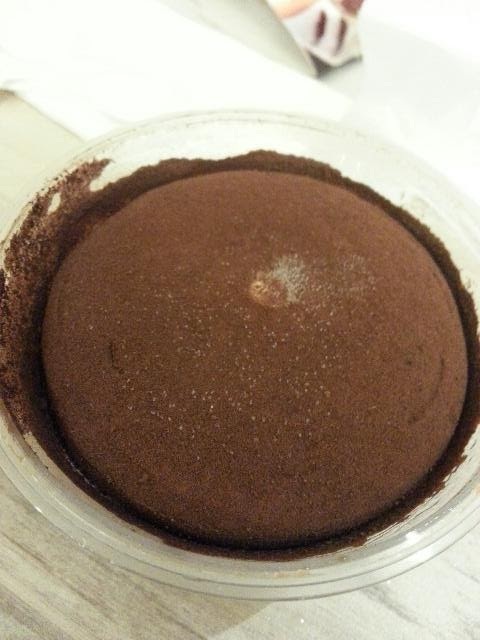 And it will definitely not contain alcohol hehe.